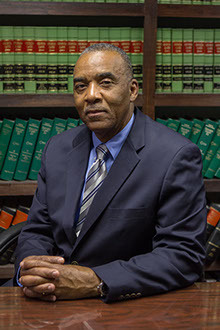 Attorney Graylin C. Ward has been there to help clients for over 27 years. His nimble and personal approach to representing clients allows for the right amount of flexibility when unforeseen circumstances arise. Being able to pivot and adapt to particular client needs makes Graylin the right legal representative to handle most any personal injury or criminal law matter. IF you are stopped by Law Enforcement ... IF you are involved in an Accident... IF you are asked to make statements to the Authorities or Insurance Companies... IF you have to Appear In Court..
...You have the "Right to an Attorney!"